If you ask any player out there right now what one of their biggest challenges with boots is and “finding something that last more than a few weeks” is sure to be included as one of the top responses. Durability is a huge issue for players, primarily because so many of us currently switch between natural and artificial surfaces. It has become a norm for players in the US to play on artificial grass, and fields all across the nation are quickly changing to the more sustainable pitch type. You can play in most weather conditions, it provides a consistent surface, and they are very low maintenance. 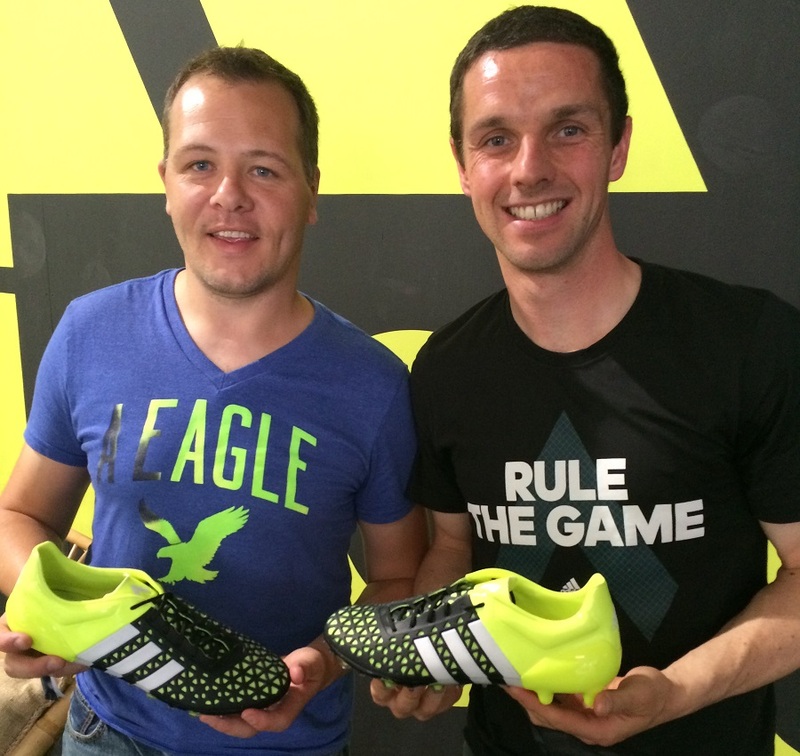 In an ideal world, every player would have a pair of boots to wear on FG and another to wear exclusively on AG. But that is not always possible, especially with the high price of boots these days. As a result, we have all crossed over our boots between both. It has become common practice. FG boots, although not ideal, can sufficiently be worn on AG and provide quality performance. But, no brand out there has provided players with a proper, fully tested solution……until now! With the shock-and-awe tactics of retiring a full set of releases and replacing them with 3 new boots, this significant element hasn’t necessarily received the attention it deserves. But, this is a big deal as both the Ace15 and X15 have been fully tested to provide players with a high performance level of performance on both surfaces! Find everything Adidas Ace15 and X15 at soccer.com. 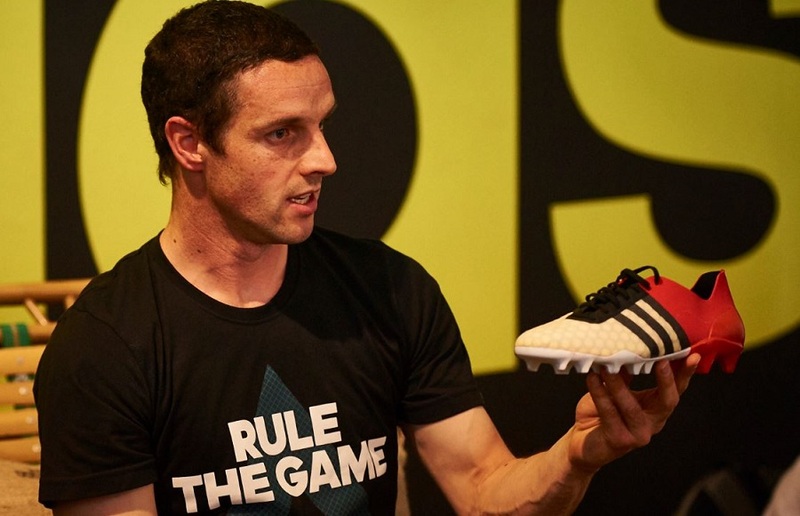 While in Berlin, I caught up with lead designer of the Ace15 (and fellow Irishman, which is a double bonus), Aubrey Dolan, to find out what it exactly means for the game, and how Adidas created the World’s first ever FG/AG crossover! The question was simple: “Why the decision and what was the process to create an FG/AG boot?” Here was his response. “The new FG/AG outsole has been developed with the knowledge that artificial grass and the short sided game are influencing how players´ consume and play soccer. We have created an outsole first and foremost which has been developed with the world´s best professional players for primary usage on grass. The next level was to engineer the outsole and stud configuration to perform perfectly from a biomechanical point of view and from a quality point of view (due to the high abrasion and forces) on artificial grass. This involved testing the outsoles as intensively on natural grass as on artificial turf. With key cities and urbanization playing a major role in how society and sport evolves, it was vital for us that we lead this trend and understand that the player is playing one week on natural grass, and the next on artificial turf. Working with the consumer, there is the desire and need to create a cleat which compliments and supports the consumer realities – fun on the short sided game in the urban environment, and top level performance on the 11-a-side pitch, independent of surface: Natural Grass or Artificial Turf. What are your thoughts on the introduction of an FG/AG specific boot and will it play a role in your decision making process come your next pair of boots? Interested to hear what you guys have to say about the process and what it means to everyday players. Also, couldn’t resist the opportunity to take a pic with Aubrey. Two Irish guys. One designs the boots, the other critiques them! I’m all for this. One positive about the release. Honestly, I’m surprised it took a brand so long to do this, but yeah it is a smart move. It is so hard to get a pair of AG boots in Canada where most of the games play on turf. I am so excited that Adidas has implemented this FG/AG hybrid concept! I'm not sure if it's the first ever. Considering there has been variation of AG (All-ground) cleats that were featured on several Nike Tiempo variations. 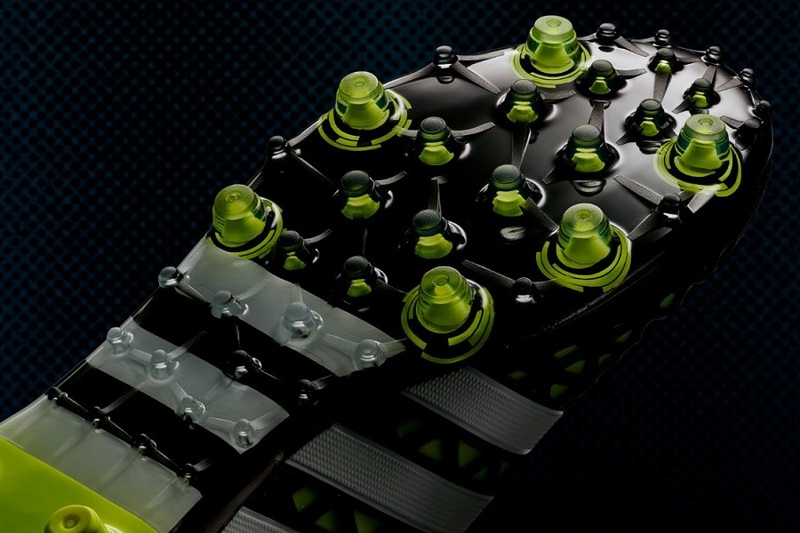 Also Asics has been utilizing the "Multi-Function" cleats in their Lethal line which was meant for turf and grass. Still good move by adidas tho!